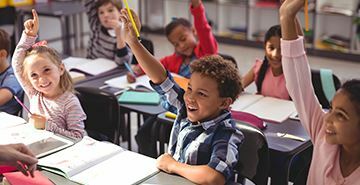 The institution you know and love as Education First Federal Credit Union began humbly by a group of like-minded teachers in Beaumont, Texas. We've grown tremendously in the ensuing decades while maintaining our commitment to uplifting members like you. In December 1951, teachers at South Park Schools pooled their resources under Mr. Joel D. Wrotan's direction and made a motion to form South Park Teachers Credit Union, dedicated to benefit teachers in the Beaumont school district. For a decade, the credit union operated out of Mr. H.D. Peavy's classroom while he served as president and treasurer. Membership soon grew to several hundred and included the Beaumont Independent School District, all private schools in Beaumont and Lamar Institute of Technology. With the expansion, we changed our name to Teachers Credit Union of Beaumont. In 2006, we became Education First, serving anyone who lives, works, worships or attends school in Jefferson, Hardin, Jasper, Newton, Tyler, and Orange counties. At our core, we're true to our Southeast Texas roots, working hard to improve members' financial well-being and providing the tools and technology to meet ever-changing needs. When you join Education First, you're part-owner of a credit union with an impressive legacy, and an ongoing investment in your future.